The perfect solution for any job. Anyone who sands high walls and ceilings on a regular basis will really appreciate the advantages of a drywall sander. As there are a great number of possible areas of application, MENZER has created a wide variety of longneck sanders for professional, continuous operation as well as for semi-professional projects: There are the powerful, long-life PRO LINE product line, VARIO machines with adjustable work length and the AV model series with an integrated dust extraction unit. Professional longneck sanders can significantly improve and speed up drywall work. With these machines, the sanding of large areas as well as high walls and ceilings is fast, comfortable and efficient. Plus there is no need for ladders and scaffolding. The MENZER longneck sanders are the perfect choice for any drywall construction project. 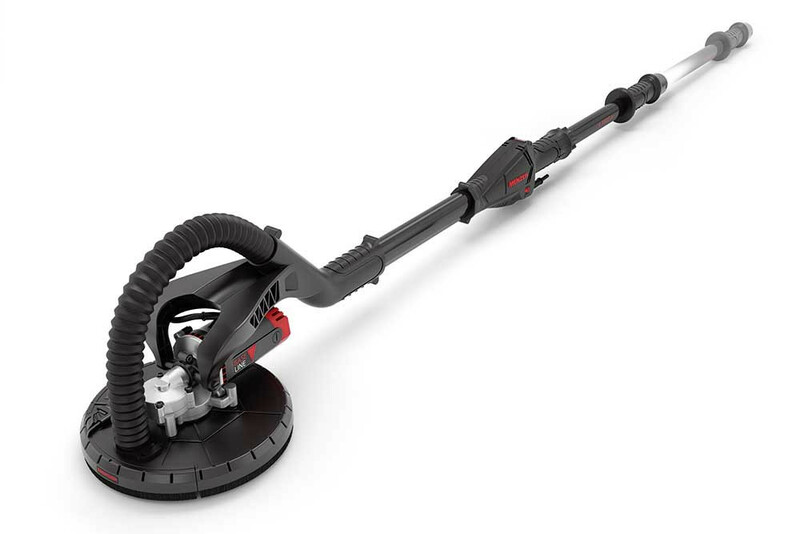 Many practical and innovative details like a direct drive system, a telescopic extension system, an integrated dust extraction unit or the extremely powerful motors allow comfortable and uninterrupted sanding. Combined with the industrial vacuum cleaners and abrasives by MENZER, optimised efficiency and quality of your work results are as good as guaranteed. MENZER longneck sanders are complete all-rounders when it comes to expertly finished interior work. Plaster, rough smoothing cement, old paint or varnish residue as well as wallpaper remnants are easily and reliably removed using the appropriate MENZER abrasive. 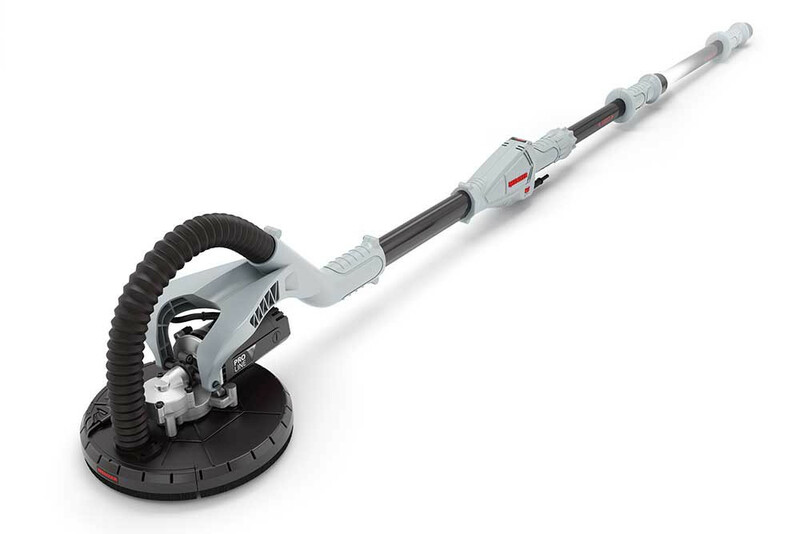 The extremely powerful motor of a MENZER drywall sander is positioned right next to the cup wheel. Direct drive means that all motor power is transferred directly onto the driving disc without any loss and there is no need for a high-maintenance drive shaft. MENZER longneck sanders are therefore comparatively low-maintenance and offer a particularly long service life. One of the big challenges in drywall sanding is – of course – the sanding dust generated. It impacts on the service life of the abrasive and can potentially be a health hazard. 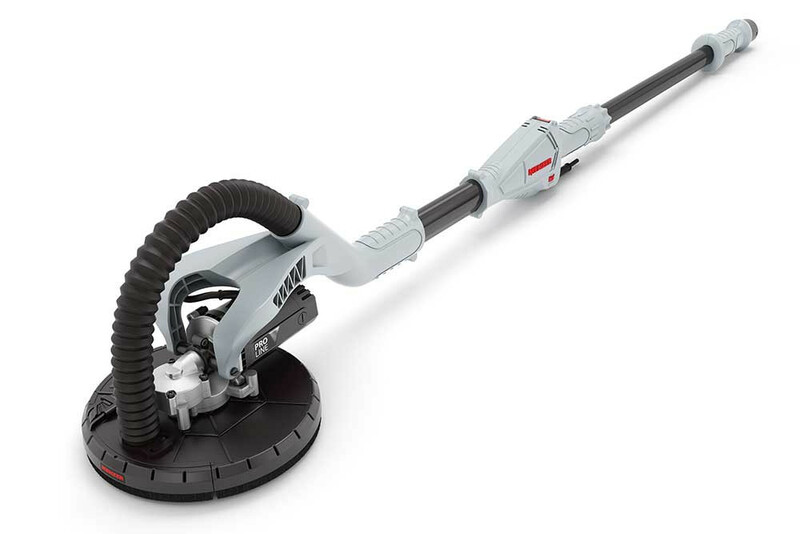 That is why all longneck drywall sanders by MENZER come equipped with a 6-hole driving disc, which allows efficient dust extraction – generally in combination with an industrial vacuum cleaner. 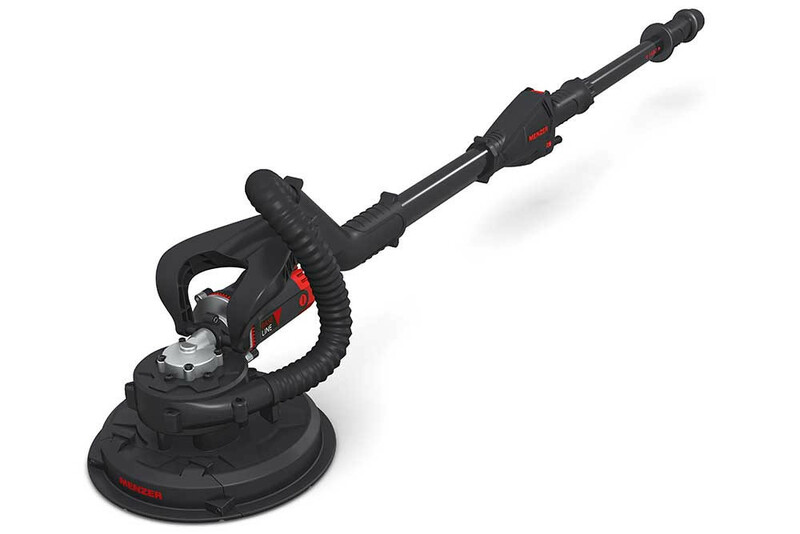 In addition to MENZER industrial vacuum cleaners, any commercially available industrial vacuum cleaner can be attached to the drywall sander via a universal adapter. Another alternative are our MENZER longneck sanders with integrated dust extraction unit. 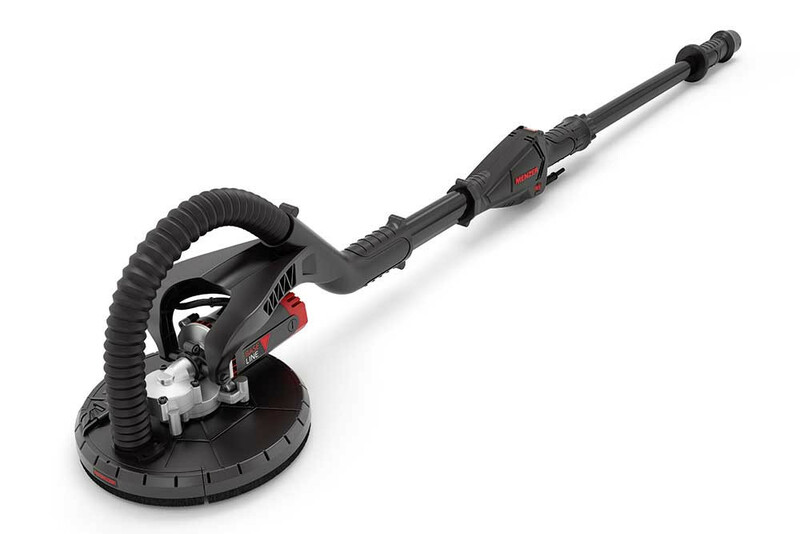 The longneck sanders LHS 225 AV and LHS 225 VARIO AV come with another turbine fitted directly over the driving disc. It allows the removal of the dust at the source and its transport directly into the dust extraction kit provided. The dust extraction kit is certified for class M fine dust and offers excellent dust protection during sanding. 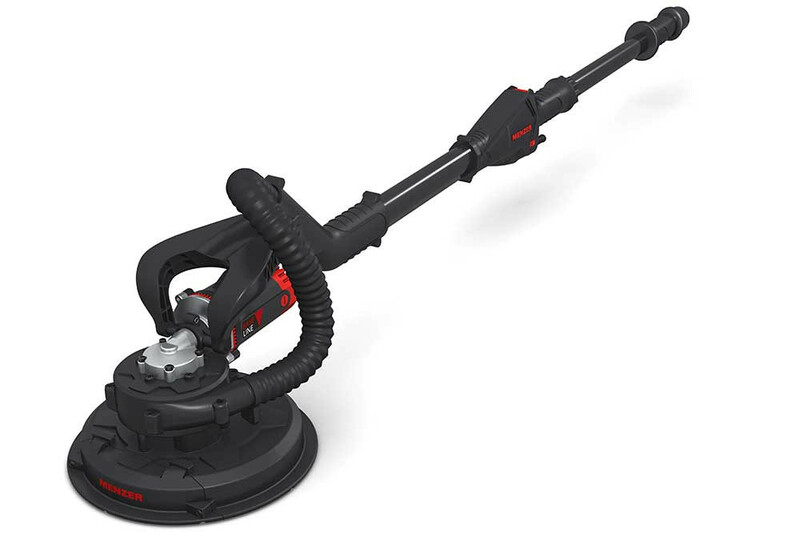 AV technology has one other benefit: As there is no need to attach an industrial vacuum cleaner, AV devices are even more versatile and agile than their standard counterparts. The PRO LINE device series by MENZER was designed specifically for professional use by tradesmen and drywall construction experts. PRO LINE longneck sanders offer superior performance, a long service life and economy and can be used in a wide variety of applications. BASE LINE by MENZER is the perfect choice for semi-professional projects. This product line is a great choice for tradesmen, who do occasional sanding work and for DIY enthusiasts, who want to work on their own projects with a high quality finish. BASE LINE drywall sanders achieve excellent results and offer easy handling and robust and reliable technology.